It’s a new season and I am feeling pumped to shake off the winter blues and unleash the positive spring vibes. Nature awakens from its slumber in spring, and this new upbeat rhythm is a signal to shake off the stillness and stretch into new growth. As the birds chirp loudly in the morning, the days stretch out, the sun beams warmer and brighter and the blossom starts to appear on the trees, my body feels ‘in bloom’. The change in seasons is a natural prompt to try new things in harmony with the cycles of the environment. Whether it’s introducing new seasonal vegetables into our recipes, jogging outdoors for a natural vitamin D top-up, or volunteering with a local community group. When we stop to notice the seasonal signs around us, we can truly learn to be present, which is something so important in this age of distraction. I spoke to some amazing independent businesswomen to find out how they live seasonally and what they are doing to step into spring. The start of spring is symbolised by the awakening of the daffodils and the trees starting to blossom. Whenever you walk under a blossom tree, magnolia tree or a stretch of daffodils, just stop for a moment. Close your eyes and take in the smell of the sweet flora and the buzz of the bees. Embrace spring into your life by cracking open the windows, even if it’s chilly. There’s nothing like that cool air drifting through, the sun beaming through the window, and listening to the birdsong. No other season is like it for the joy of colour so bring the outside in with a bunch of seasonal flowers, such as daffodils or tulips. Take a look in your garden too as people are often surprised by what has sprung up that could be snipped and brought indoors. 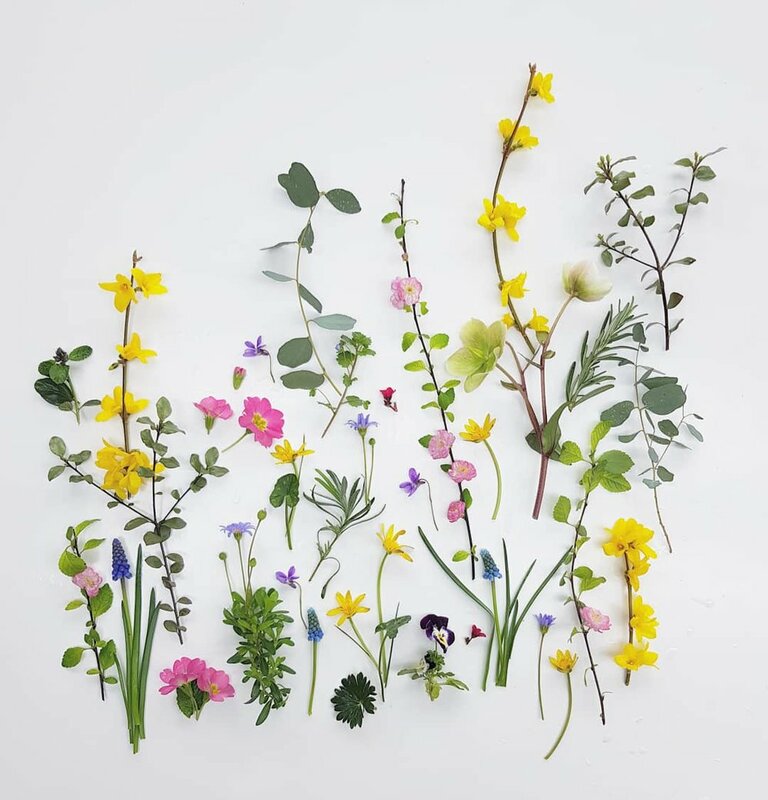 Sally is running a beautiful floral wall hanging workshop with us in May, take a look here. We are surrounded by an abundance of healing plants and fresh herbs from Mother Nature, which provide us with everything we need to nourish our body. Harness these raw botanicals by picking your own lavender, calendula and sage to make your own soothing skincare recipes. My mantra is Rituals Not Routines and I think it’s important to make space for a sacred daily skincare ritual. When you’re applying your daily facial oil, cream or balm, pay attention to each stroke and sensation on your skin. Massage from the centre of your face outwards to encourage lymphatic drainage and boost circulation. Massage with intention and breathe in deeply through your nose and out through your mouth to calm your nervous system and quieten your mind. Transition your skin from winter to summer with a facial scrub and light facial oil. Our skin is ready to rid of winter’s dead skin cells and embrace the warm glow of spring. Choose something light, rejuvenating and hydrating. Take 5 minutes after your shower to massage the whole of your body using long, soothing strokes with your favourite body oil to awaken you from winter slumber. Knead gently into any tight or sensitive spots and explore the different textures and sensations of your skin, whilst breathing in and out slowly to calm your nervous system. Stretch! It’s time to lengthen the tendons and ligaments to boost circulation and remove any stagnation trapped in your joints. Yoga, pilates, or simply doing arm stretches, side twists and forward folds at home are a great way to wake up the body from winter hibernation. 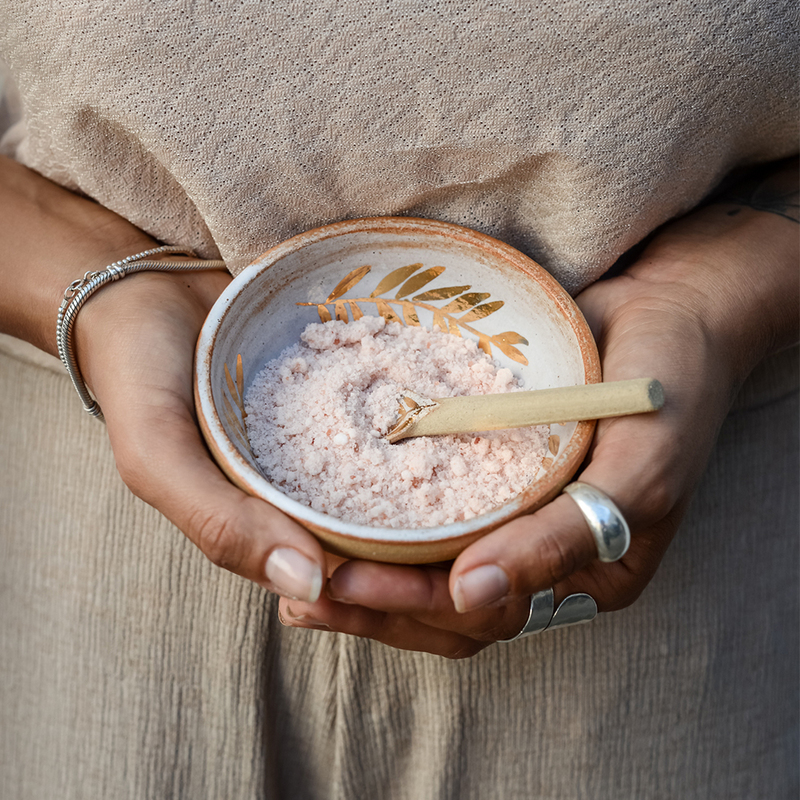 Pop some refreshing and uplifting citrus and earthy essential oils, such as geranium, grapefruit, patchouli, clary sage, or bergamot, into your diffuser, bath or onto your wrists. Kim is joining us in May as part of our Self Care Collective offering, an event for affordable self care treatments and workshops. My favourite thing is to go out foraging for the tips of spring nettles to turn into a delicious pesto. I use two handfuls of nettles, a handful of almonds, a lot of salt and a lot of olive oil. Everyone should try making their own juice from Cleavers (Galium aperine) which is sometimes called sticky willy. I pick a bunch and wash it at home, before putting it in a huge cooking pot, where I bash it into a pulp using a rolling pin then cover with cold water over night. In the morning I strain it. Then I add loads of lemon juice until it tastes fresh and sour. I drink a shot glass of this juice each morning. It helps clear the lymphatic system and feels incredibly refreshing from the fridge each morning. The last thing I like to do to welcome in spring is open all the windows! 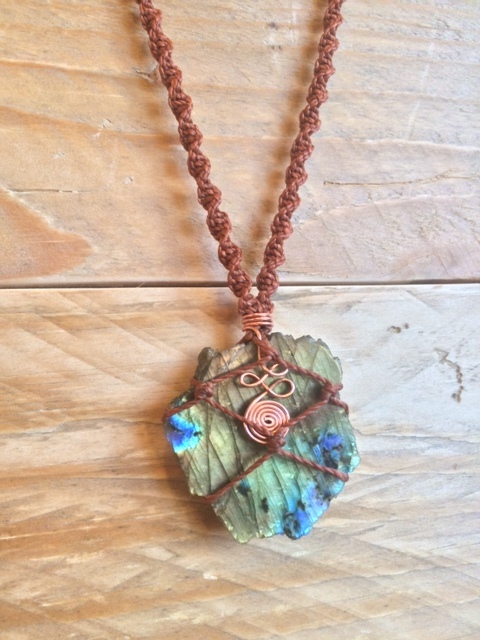 ~ Labradorite is a perfect crystal for a smooth and magical transition into Spring. 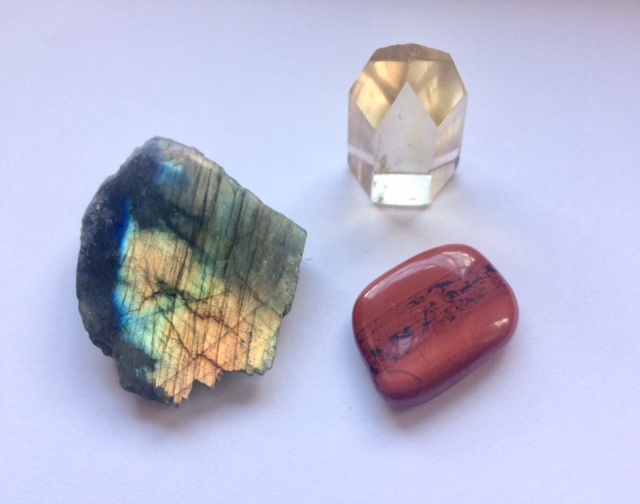 Labradorite helps us when going through changes and transitions. I wrote this affirmation 'I welcome change, I am open to change and I can handle change easily'. Together with a beautiful piece of Labradorite, this is sitting on my alter as a reminder! ~ Citrine is a wonderful uplifting crystal, it works with our solar plexus and helps us feel motivated and creative. It's exactly what we need to start a new season! You could spend some time writing your goals/visions for the months ahead and place a piece of citrine on top of the paper to manifest your desires with extra crystal power! ~ Red Jasper is an essential crystal to remind us to stay grounded. It helps us remain connected to the natural rhythms of the earth. Try placing a piece of red jasper anywhere near the base of your spine to help ground you. Our selection of products to spring into the season. Leaf through these beautiful botanical notebooks, that are perfect for jotting down your thoughts. A mix of ruled and unruled pages make it the go-to for creatives to jot down notes, sketches and daily musings. Made with recycled paper and featuring lavender, wild rose, dandelion and acorn designs, they’re a great lightweight, eco gift for yourself or others. As the days start to get lighter for longer, you can ensure a sound night’s sleep with these naturally-dyed, chemical-free sleep masks. Made with organic vegan bamboo silk, they fit comfortably on your head and are perfect for people with sensitive skin. They come with insertable lavender sachets, the popular sleep-inducing plant, to help you drift off to sleep. Take care of your skin as you transition from the cold winter into a lighter, warmer spring. This versatile vegan balm can be used as a night balm, cleanser, moisturiser or treatment balm. Enriched with super smoothing calendula oil, reparative argan oil and uplifting neroli flower oil, it is best used before bedtime so you can wake up to soft dewy skin! A natural face mask that is a conscious blend of pink clay, rosehip, geranium and organic fruit extracts, carefully formulated for their detoxifying and hydrating properties. An essential skin reviver for the dry skins of the world, this mild exfoliant contains antioxidant-packed elderberries and rosehip which keep your skin radiant and healthy for days. The Radiance Mask will gently buff away dead skin cells, revealing a plump, dewy and glowing complexion. Using oracle decks can be a creatively freeing way to interact with divination and self reflection. Where tarot focuses on ancient systems of archetypes, these oracle decks focus on more emotional and abstract themes. Pick up this bright and whimsical deck to get in touch with our deepest feelings this new season.